Our dedicated team are on hand to give you the service you expect and deserve. Why not get to know a little about them. 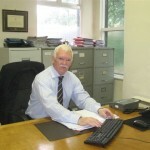 Barry joined Byrne Frodsham in 1978 and specialises in private road traffic matters. He has been involved in numerous high profile cases in the High Court and the House of Lords, successfully defending motorists on a variety of charges over the last thirty years. Having joined Byrne Frodsham in 1978, Charles has a wide range of experience in legal work, specialising in commercial/domestic conveyancing, private and commercial landlord/tenant work, employment law and general commercial work for small and medium sized companies. Charles is a Registered Lawyer under the Football Association Football Agents Regulations. He also has expertise in estate planning, probate, wills and advising clients on late in life issues. 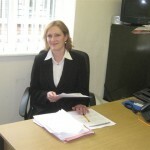 Marion joined Byrne Frodsham & Co in 2009. She is a highly experienced solicitor who specialises in matrimonial and family work and is a member of the prestigious Law Society Advanced Family Law Panel. Marion also deals with Wills, probate and Court of Protection and domestic conveyancing. 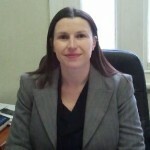 Jannine qualified as a Solicitor in 2008. Her speciality is family and matrimonial law including children cases. She is highly experienced in all aspects of this work including divorce, separation agreements, contact, ancillary relief and related issues.